The Windsor Spitfires Foundation donated $1,988 to the Transition to Betterness Foundation prior to puck drop in the 3rd period of Thursday night’s game against the Sarnia Sting, on behalf of the 1985 to 1995 Windsor Spitfires Alumni and specifically the 1988 OHL Championship club. PINK JERSEY AUCTION RAISES NEARLY $6,000! Our recently completed Game Worn Pink Jersey auction has raised $5,890! The jerseys were worn on this year's G&K Services "Stick It To Cancer" night. This year marks the first time the Spitfires have worn pink jerseys in a game. 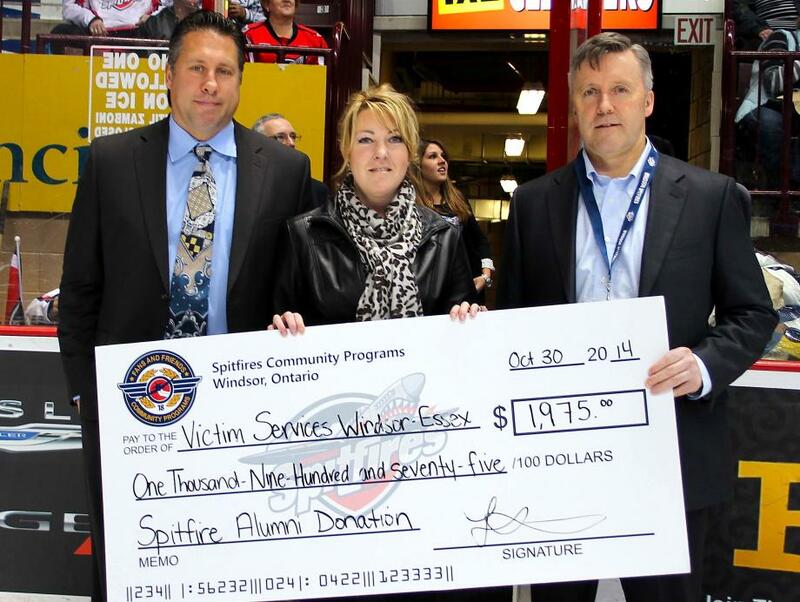 During the first intermission of our Thursday, October 30th game versus the Kingston Frotenacs, Victim Services of Windsor & Essex County was presented a cheque for $1,975 by the Spitfires Foundation in the name of Rolly Hedges and those on-hand as the club honoured alumni from 1975-85, as part of #40YearsOfSpits celebrations. 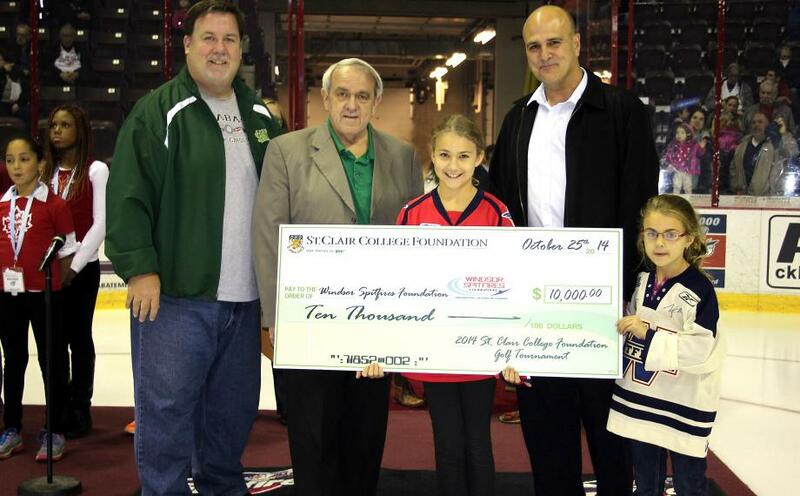 The Windsor Spitfires Foundation was proud to accept a $10,000 cheque from the St. Clair College Foundation prior to Saturday night’s Spitfires-Steelheads game at the WFCU Centre.